Lavender and shades purple or plum are trending for 2018 in home decor. And with many “colors of the year” in 2017 & 2018 focused on shades of purple such as Pantone UltraViolet, Benjamin-Moore Shadow & PPG 2017 Violet Verbena, shades of purple have been in the forefront. First, with accessories. 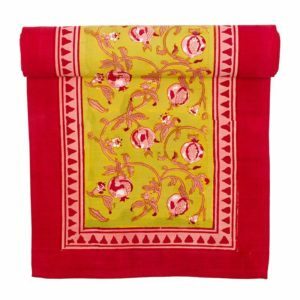 Shades of soft Plum are appearing in home decor. As in the wallcovering below featuring a large-scale lavender and sage floral design. Coupled with deeper lavender decorative pillows the room had a sophisticated vintage yet modern elegance. Second, develop a monochromatic decorating color scheme. 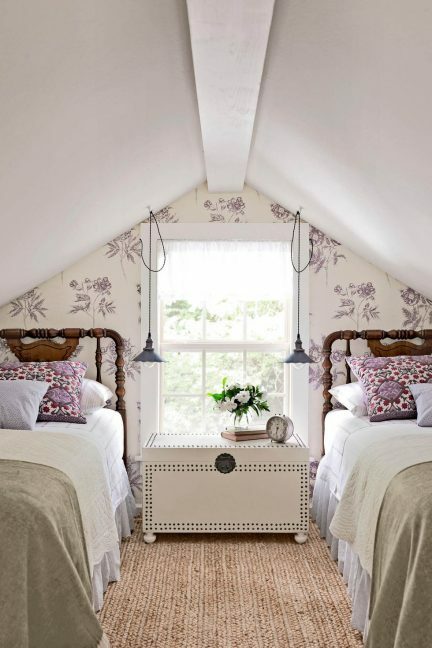 Again lavender wallcovering sets the tone for this monochromatic color scheme. Soft purple tones from the walls, roman shades, bedding and decorative pillows envelop the room creating a cohesive color palette. Third, select a purple paint color. 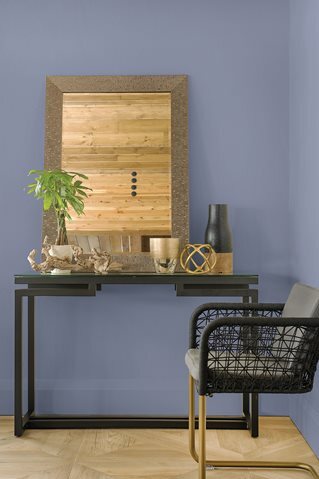 Violet Verbena a soft purple paint color has a modern yet boho vibe for a home office. And at the same time provides a neutral backdrop for natural wood tones. 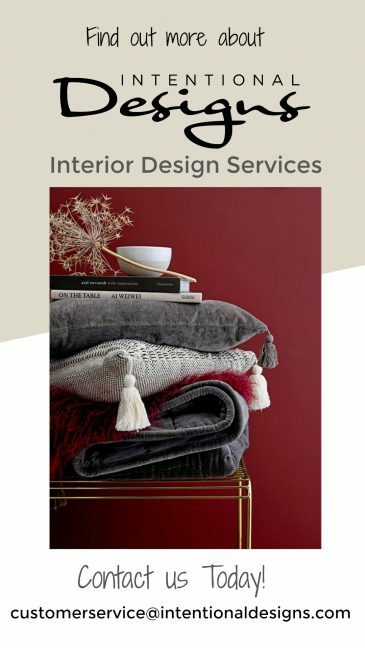 As well providing softness for deeper black or gray furnishings. 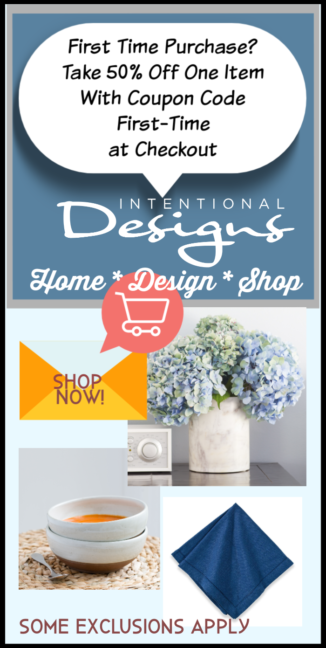 And while you are here, See What’s New This Week @ IntentionalDesigns.com Home Decor Shop! « Back To School decorating Ideas, 3 Ways to Add Color!